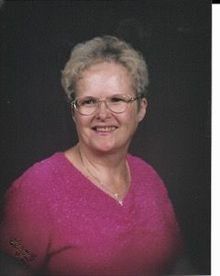 Patricia Darlene Imrie, age 71, of Atlanta, IN died January 18, 2018 at Eskenazi Hospital at Indianapolis, IN. She was born July 4, 1946 at Noblesville, IN to Lawrence Vernon and Frances Eileen (Cecil) Tomlinson. She graduated from Jackson Central High School with the Class of 1964. Pat, as she was fondly known, then married Gillis Imrie and from that marriage two sons were born, Lawrence and Hallie Imrie. Pat enjoyed a full life: she loved to bake and enjoyed bowling. In the early 70's she belonged to the Quarter Milers Car Club and the Snow Drifters Snow Mobile Club. During her time of employment, she had worked at Power Equipment at Cicero, National Seal at Frankfort, Production Services and Kroger, both at Noblesville, IN. Surviving her are her two sons: Lawrence Dale Imrie and Hallie Douglas Imrie, four grandchildren plus nieces and a nephew. In addition to her parents, she was preceded in death by a sister: Sherry Walker. Add Photos, Videos, Music that tell the story of Patricia's life.